Addison's disease in dogs, also known as hypoadrenocorticism, is a rare but serious condition that stems from a hormonal imbalance. A sudden and acute onset of Addison's can be life threatening and will require immediate emergency medical care. Whether acute or ongoing, the presence of the condition will necessitate regular hormone injections for the remainder of your dog's life. With the proper treatment, however, in most cases the prognosis is quite good. The adrenal glands, located near the kidneys, normally secrete hormones known as mineralocorticoids and glucocorticoids. These two types of hormones are critical to the health of the body and an increase or decrease in their production can lead to serious problems if it is not addressed quickly. In hypoadrenocorticism, or Addison's disease, there is a lack of production of these important hormones. While Addison's disease in dogs is rare, it most often occurs in young to middle aged females. It can be caused by adrenocorticotropic hormone (ACTH) deficiency, metastatic tumors, or long-term glucocorticoid withdrawal. In certain breeds, including Bearded Collies, Standard Poodles, Portuguese Water Dogs, West Highland White Terriers, Rottweilers, and Wheaten Terriers, it can be passed down genetically. While it is rare in Australian Shepherds it is not entirely unheard of, so if your Aussie shows any of the signs of Addison's it is important to have her examined by a vet. Unfortunately, since many of its symptoms are common to other disorders as well, Addison's tends to be underdiagnosed in dogs. 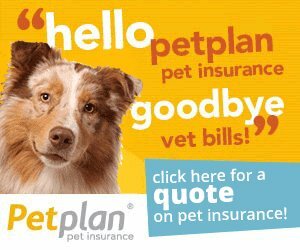 It is important to have your vet test for the condition as the longer it goes untreated the more serious it may become. An ACTH stimulation test, which indicates the level of hormones your dog's body is producing, is the primary tool for diagnosing the condition. ACTH is a hormone normally produced by the pituitary gland, which then stimulates the adrenal glands to release their hormones. In an ACTH test, the vet injects ACTH directly in order to test the response of the adrenal glands. Common symptoms of Addison's disease in dogs include lethargy, lack of appetite, vomiting, weight loss, diarrhea, shaking, increased thirst and frequency of urination, depression, dehydration, blood in the feces, hair loss, low temperature, and a painful abdomen. In serious, acute cases a weak pulse and collapse may also occur. Symptoms will vary depending on the duration of the problem. The longer it goes untreated, the more serious the symptoms will be. The most serious cases will require immediate hospitalization and intensive therapy in order to bring the hormones up to a normal level. Treatment will vary depending on the type and severity of symptoms. For example, dogs with lack of bodily fluids will be given intravenous fluids. Hormone therapy is the primary treatment, though, and even in less severe cases patients will require regular hormone shots, usually once a month or once every three weeks, for the rest of their life. While Addison's disease in dogs can be frightening, it does not have to be life threatening. With the proper diagnosis and treatment, your dog can live a long, healthy life. The key is getting her to the vet as soon as symptoms present as the quicker hormone treatment begins, the better off your pet will be. Being aware of the potential threat of Addison's disease is important for all dog owners, so stay informed and you can keep your best friend feeling her best. 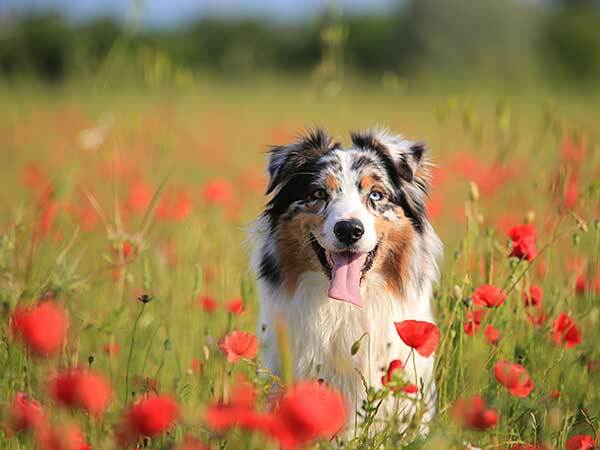 For more information about Addison's Disease in Australian Shepherds see the Australian Shepherd Health & Genetics Institute (ASHGI).